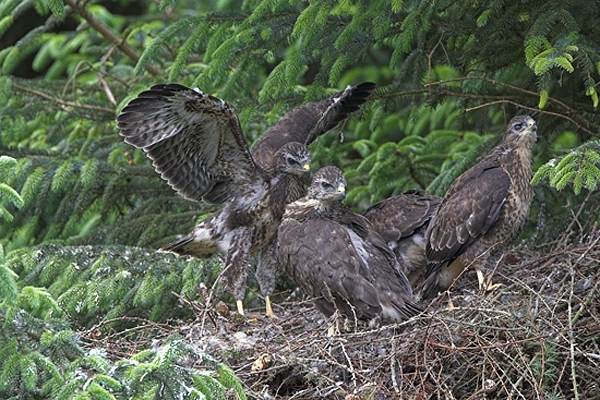 Home | Birds of Prey | Young Buzzards. Taken at a nest in woodland on a Scottish Borders farm,near Duns. Canon 1D Mk11N camera,500+1.4 lens,1/125 f8.